In the spirit of Halloween my daughter and I spent the other afternoon making a few art projects to add to our art display and today I am sharing the projects with you. 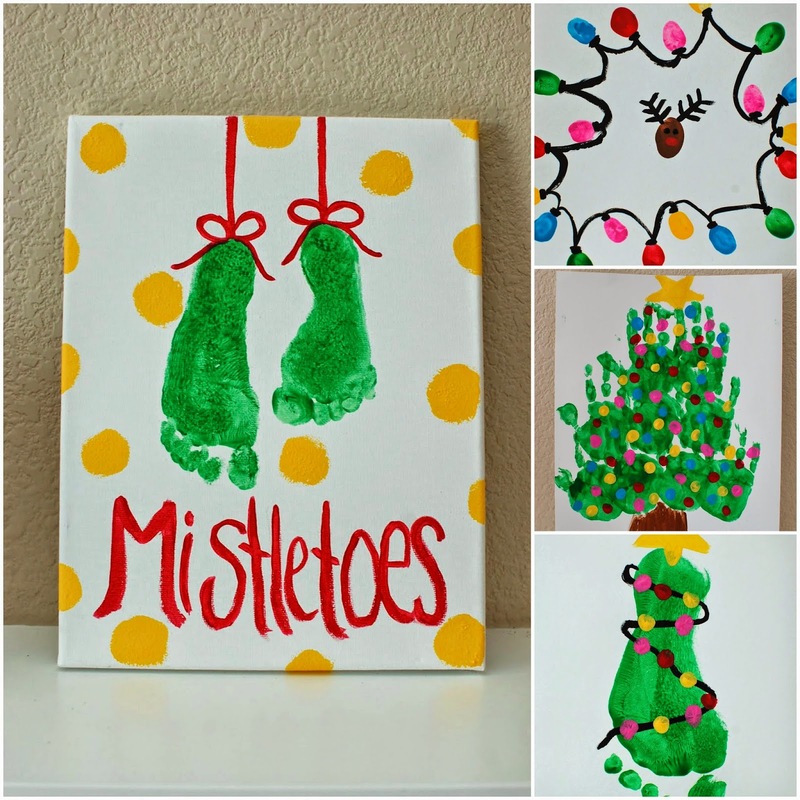 It was very simple, just paint their feet white and add the black accents with either a pen or a paint brush. This adorable little Frankenstein was easy and done by painting the palm of the hand green and the four fingers black then adding the facial accents once dried. 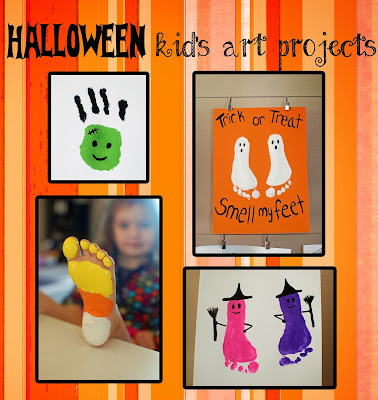 Here is a candy corn foot print that we did as well which was easily done by painting the three colors on the foot. And lastly by my daughters request she wanted to make pink and purple witches with her feet! 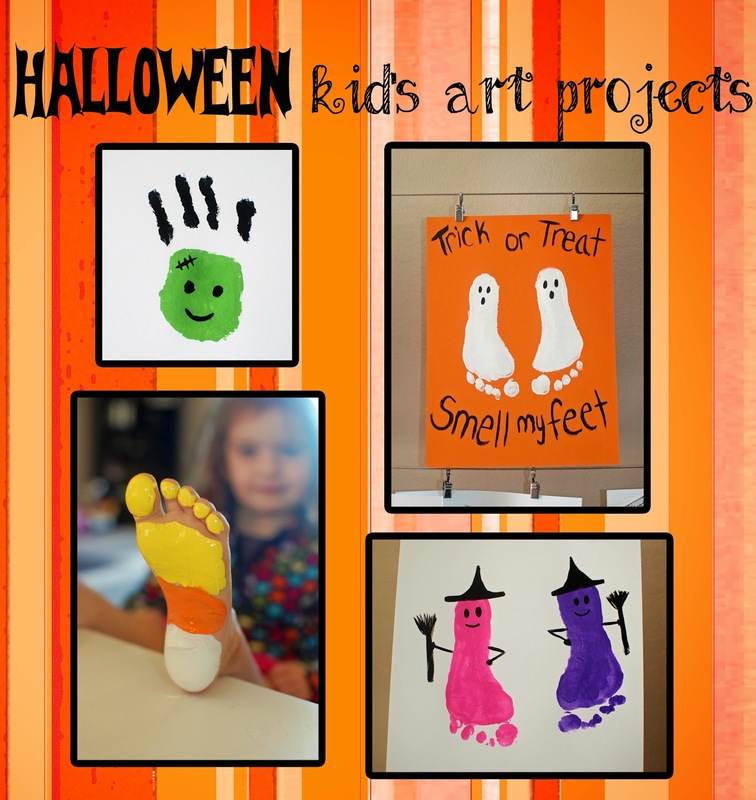 Check out our art project from last Halloween as well. Thank you for stopping by. I actually just used the acrylic paints that you get from the craft store because they are super easy to wash off even once they are dry. Plus they are cheap so I would let them play with them as much as they wanted.